An educated women has the ability, skill and the intelligence to empower not only herself but her entire family. Education is very important for girls in this era of Economic - crisis. An educated women has the ability to be economically independent. Education helps them fight against the problem of gender-inequality. There was a time when people thought that it was not necessary to educate girls. Now we have begun to realize that girls’ education is essential. The modern age is the age of awakening of girls. They are trying to compete with men in all spheres of life. But still a significant part of population is suffering from stereotype ``Education is not at all important for girl child``. Government has taken many steps to increase not only literacy but also to impart quality education in girl child. From giving monetary helps ( Ladili Yojna ) to increase girl enrollment in school and sustain it till higher secondary. To break stereotype of patriarchal society and generate awareness among society for girl education Beti Bachao, Beti Padhao Yojna , Sukanya Samriddhi Yojna are working well. 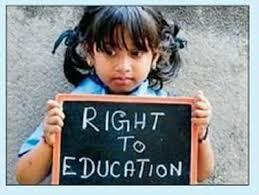 Right to education also equipped to make elementary education free and compulsory for all children. Despite having above steps and schemes, we have not reached even 90 percent enrollments at primary level. Significant number of girls has to drop school before reaching college. Various reasons are behind their dropout. Lack of proper infrastructure (toilets for girls in school), early marriage of girls,dowry system, feeling of insecurity for girls in school and colleges are some of major reasons among them. Until we create awareness among people about the benefits of women education, all these programs would not bring about the desired result. We fail to understand that both men and women are two sides of the same coin—a girl is as much a part of the society as is a boy. They are both the futures of tomorrow.